Minnie has backtracked on claims she is getting a grant from the IDC. 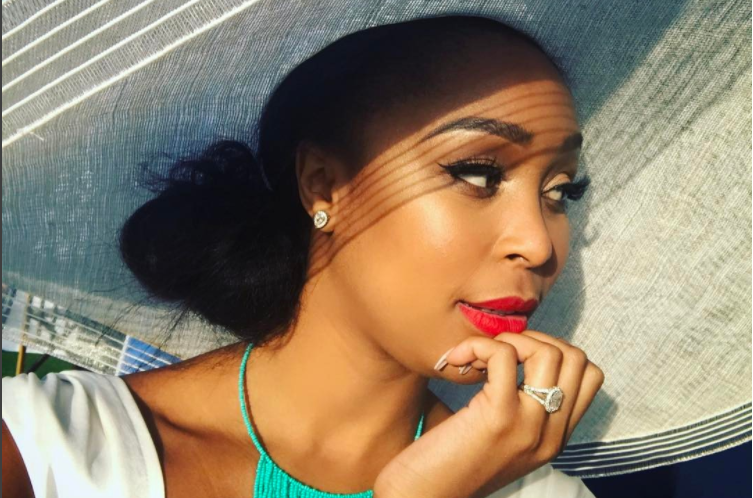 Minnie Dlamini has issued a public apology after receiving a backlash for claiming theIndustrial Development Corporation of SA (IDC) has awarded her a grant worth R10-million. The media personality made the remarks in a recent issue of True Love. She told the magazine the grant would be used to set-up her beauty company, MD Beauty. Screenshots from the interview were shared on social media with many criticising the IDC for giving the star a grant and not a loan. Minnie told the publication she found the funding process “surprisingly easy”. Twitter users cried foul, saying the ‘Homeground’ presenter was getting special treatment because she was famous while budding entrepreneurs struggled to get funding to set up their business ventures. In a December 2018 issue of Destiny, Minnie Dlamini spoke of how she and her partners got a R10 million grant from the IDC for a beauty range, MD Beauty. Minnie has once again taken to Twitter to set the record straight about the IDC deal. She says the whole thing was one big misunderstanding and she is not getting a grant but a loan. “In my Destiny cover I was quoted saying I received a grant from the IDC for my new business. I in fact applied for a loan payable with interest which is still pending due to the error. My apologies for any confusion caused. For the record the mistake was entirely mine and I apologise further,” she tweeted. For the record the mistake was entirely mine and I apologize further. The IDC has also issued a statement regarding the matter after receiving a complaint. “We can confirm that the information contained in the Destiny article is incorrect. The IDC has not granted the said business any funds. Below is a correction from Minnie Dlamini,” a Tweet on the IDC’s official Twitter page reads.